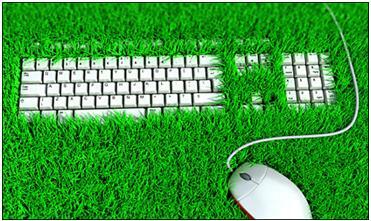 What is Go Green Initiative? Generating of compost, which is natural recycling method. With worm composition and basic learning programs for small children, they are taught about waste management, reduction, biology and ecology. Recycle the items which are not possible to reuse and purchase the items which are possible to go for recycle and reuse. Due to sharp landfill space shrinkage and shortage of natural resources with their huge consumption, recycling was never given any importance in the past. The use of recyclable items like ink cartridges, aluminum, plastic and paper can help to reduce the poisonous greenhouse gases emission and also help in conservation of energy. Now the word E-Waste has become important to bring attention to hardware and electronic equipment and finding the solution which should be eco-friendly and bring more profit for our next generations. Similarly the schools which are providing recycling material to big manufacturing are helping to reduce the pollution and fully adopt the eco-friendly approach. Educating the students and teachers, as well as parents and citizens living in a country about their responsibilities for environment protection. When students, teacher and all the groups will work together to make their educational institutions eco-friendly, they will likely to take this to their surroundings. Our goal is to make the environment awareness campaigns starting from schools and colleges and moving forward to the whole nation. Evaluation: responsible to evaluate the environmental impacts of every activity started. Find the products and processes which are omitting hazardous gases and polluting our environment. There are hundreds and thousands of processes around use which are continuously omitting the excessive supply of carbon dioxide in the air and might prove dangerous for our next generations and even us. Consideration for improvement of campus life and starting of activities like excessive energy consumption elimination, toxicity of pesticides to evaluate, improvement of outdoor quality of air and efforts for improvements of air quality for indoor. Nationalize the principles of recycled paper consumptions and revisions to purchase consumed recycled paper. Use of modern communication methods and technological products for better understanding to the people and awareness campaigns for citizens of all the countries in world. Since after its start, the Go Green has started many summits and conferences to teach people and school communities as well as all the business organizations and major public groups about the use and importance of eco-friendly products and services.The Greener workplace A greener workplace can mean to be much environmental friendly and healthier to all the company staff, a place where there are all standards valid and strictly followed to create greener workplace. This will create more friendly and leading environment for all the staff members and good news for bottom line workers. Either you are being boss or employee, or either your office has become green or still need to follow the proper steps for going green, there are some practical steps which should be followed to bring a healthy and low impact workplace for your employees. 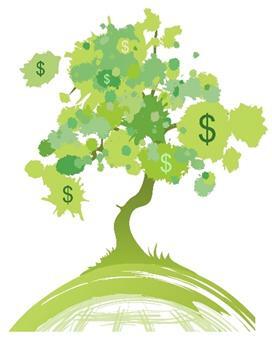 Right from the company own benefits to develop under its strategies and communication for goals to fully achieve, help your company to Go GREEN with corporate social responsibility (CSR), and sound financial investments which are more profitable and offering good contribution to the environment. Nowadays, the computer machine is a central tool for most of the people in companies. The optimization of energy for your computer systems as well as for other devices which come under operation for increasing productivity at the office, it is important to get the energy saving mode for computers. Set them at energy saving mode to optimize the maximum amount of energy in corporate environment. When you are away from your work desk, just put your computer to energy saving modes like stand by and hibernate. By plugging your hardware with just one strip for power, all the energy in computer systems can be closed together and you will need to optimize the energy of ink printers, which are the true killer of energy due to their high electricity consumption power. Although we are living in digital age, still many things we using are scrap and obsolete technology inventions. Instead of high tree consumption for paper, Go Green and uses greenest paper with more recycled power to keep things digital and dematerialized for our new generation. Keep the files on computers and not on file cabinet, because it will help you to make copies easier. While you go to purchase the printer paper, search for recycled paper with minimum value of chlorine bleaching. Due to each recycled paper, a large amount of energy is gobbled. Print on both sides of paper to save the space and eliminate wastages. Average American workers spend 47 hours every year for traveling through local transport with 23 billion gallons of gas is wasted due to it, but we can ease through use of electric vehicles and using the Sports Utility Vehicles SUVs for more efficient fuel consumption and stopping the extra consumption of petroleum. Also using the cars, motor bikes and scooters which are low at petroleum consumption are much valuable and should also be considered for eco-friendly environmental use. Approximately 55 percent of water is saved due to use of recycled paper instead of virgin paper. Go green at work will not only contribute to the environment but also positive to the productivity of such organizations.